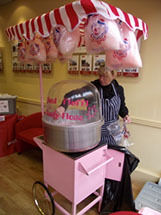 Popcorn & Candy Floss Cart Hire - All the Fun of the Fair! 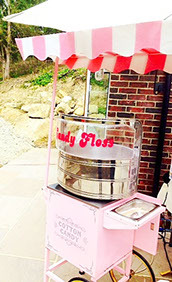 Add that special touch to your Wedding / Party / Product Launch or Exhibition with our traditional Popcorn and Candy Floss Carts. All the atmosphere of a 'fun fair' - the sight, the sound, the aroma - and the taste! 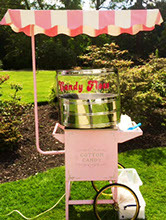 Our carts can be booked together or separately for your special event. 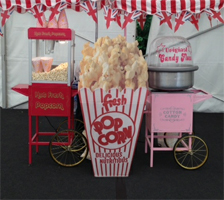 Great for Adults and Children, everyone enjoys Popcorn & Candy Floss. to spin their own candy floss on to a stick. 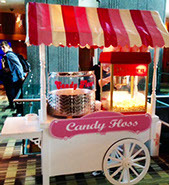 Contact Us now to book a Pop Corn and Candy Floss Cart for your event.